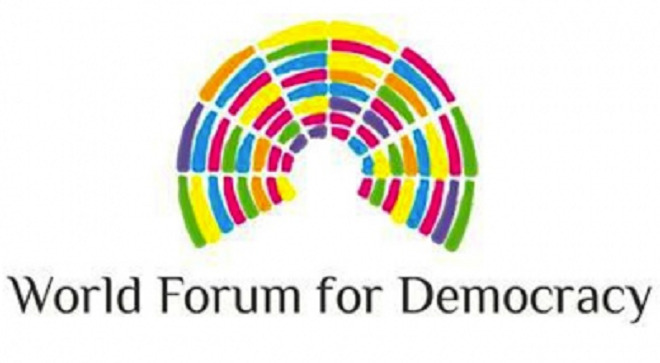 From 7 to 9 November, the European Youth Foundation is inviting youth representatives to the 2016 edition of the World Forum for Democracy (WFD). Under the theme “Democracy and equality – does education matter?” the fifth edition of the Forum will engage with young people, decision-makers and opinion-formers in a reflection on how education and democracy can reinforce each other and address the risks of new social divides. Participants will be young people, from 16 to 30 years old, residents in one of the 50 signatories of the European Cultural Convention, actively involved in civil society democracy initiatives, supported by a youth organisation or network or informal group working on democracy and available to participate fully in the World Forum for Democracy. Special attention will be given to young people from marginalised backgrounds, representatives of minority organisations or youth movements. - post a short 1-minute video on YouTube, with the link attached to the online application form. Selected participants will be invited to join a Youth Training from 5th to 7th November 2016, to learn about the Council of Europe and its work with youth, to get to know each other, to develop their ideas, plan their actions and work together with the guidance of an international team of trainers. The common working language of the event will be English. Board, lodging and travel costs will be covered by the Council of Europe. Deadline to apply: 25th July 2016, midnight CET.